I was talking with a friend the one day about skin care and I asked her “You want me to clean my face with oil?” At first I was like how much sense does it make to clean my face with oil when it’s already oily! Since I did the Big Chop back in November 2011 (read post here) , I’ve been reading the ingredients on what I buy for my hair and also making my own products. And it only made sense to start paying more attention to what I put on my face. I love to use oils in my conditioners for my hair and I already had them on hand so I figured I really didn’t have anything to lose. 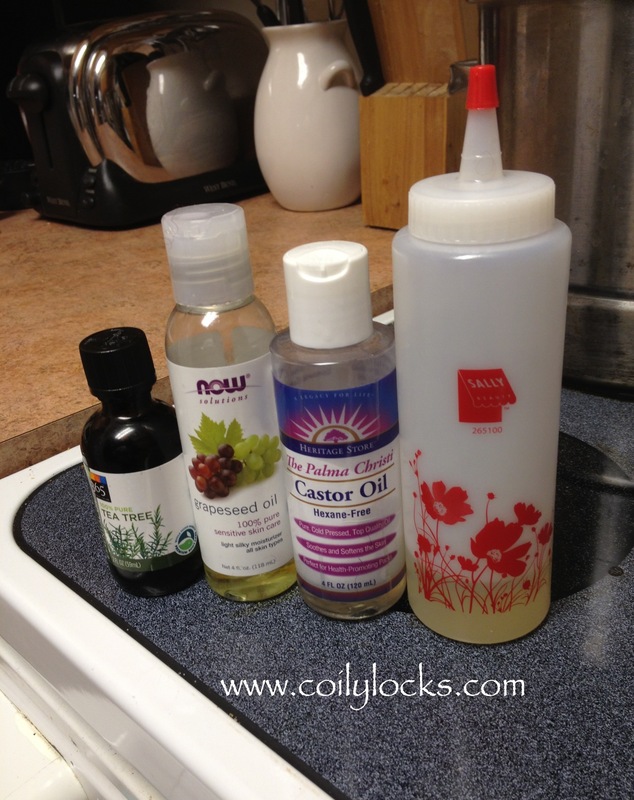 You’ll want to use a little castor oil mixed with a carrier oil. Castor oil is very cleansing. Start with one of the following ratios listed below. If your skin feels too oily, use more castor oil. If your skin feels too dry, use less castor oil. Castor oil is very drying, so don’t use too much. You should be able to find these oils at your local health food store and Amazon. It may take time to find what works for your skin. Below is a good ratio to keep in mind when mixing your oils. I currently use the oily skin ratio. I decided to try castor oil, grapeseed oil and tea tree oil. Essential oils are highly concentrated and you only need a little bit. I put about 10 drops in my oil mixture. I use a hair color applicator bottle that I got from Sally’s Beauty Supply to make it easier to pour onto my fingertips. After mixing your oils in your bottle, pour a good amount onto your fingertips and massage on your face (no need to clean your face prior to this). Let the oil remain on your face for a few minutes. Run the water until its hot and soak your washcloth. Place the washcloth on your face to allow the steam to penetrate the oil and leave it there for about 20 seconds. Remove the washcloth and gently wipe the oil from your face. Rinse and repeat until all of the oil has been removed. 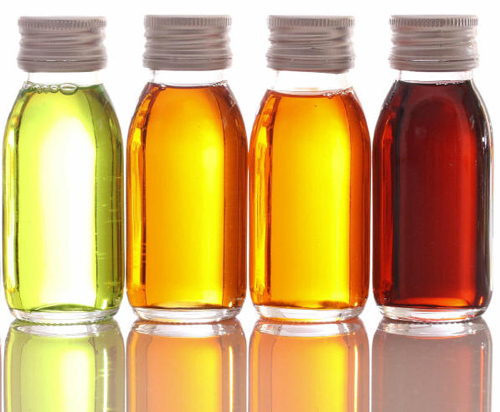 Be sure to be careful around your eye area if you decided to add tea tree oil to your mixture. I’ve been using the Oil Cleansing Method (OCM) for a few months now and I couldn’t be happier with how great my skin looks and feel. I even got a compliment the other day that I was “glowing”. Have you tried the OCM before? What oils do you use and what was your reaction? Feel free to share and thanks for stopping by! I once went to Orgins and the lady cleaned my face with oil and I freaked out but was very open to it. Until a few days later when my face broke out. My combination skin did not appreciate that! Stacie that stinks! My forehead broke out during Spring Break last month and I totally blame Jacksonville’s water system for that. LOL Almost completely cleared out. Do you remember which oils she used? Since I added tea tree oil to my mix it’s helped a lot. Would have never considered this Alisha! Thank you for sharing. I am compelled to try coconut oil…what do you think? oily skin that blemishes extremely easily. Well after our beauty lesson on google+, the answer would be no…LOL I say def give it a try and experiment with oils you like and please let me know if you tried it and how it wored. Do you use the OCM daily? I wouldn’t think to use an oil based cleanser for oily or acne prone skin. I know the tea tree oil works well for so many skin irritations. I’m not sure I could used it exclusively, but maybe once a week. Thanks for sharing! I have read on other pages that if you do use ocm everyday your skin will actually get worse because soaps will unbalance the ph. I can not sat from experience because I only just started ocm. I see a lot of posts out there about us gals but what about ocm for men and teen aged boys with troubled skin? I have seriously considered taking over my sons facial hygiene as he just can’t seem to be consistent and thorough. I was thinking about blending 1:1 ratio of castor: jojoba w/ tea tree nightly. His skin is very oily and rough to the touch. Breaks my heart. So… Any body out there with suggestions? Dermatologist has used everything under the sun; antibiotics, creams, gels, washes you name it! All very costly and eneffective and her next suggestion has been to try acutane which I will not have him take because I failed to be useful for his sister. She looked great while she took it but as soon as she was done the troubles returned. Hey Francine! How long have you been using the OCM? I know that I made the mistake of one day using my proactiv because it was already in the shower and I ended up with dry patches that took forever to heal. Sorry to hear about your son’s skin and hope you all find something that works soon. If I come across some better homeapathic treatments for acne prone skin I will def share them with you! I now know where to send visitors if they ask about oils for the skin. I LOVE me some Jamaican Black Castor Oil and jojoba. Makes me feel like I’m getting the deepest clean ever. I usually do a 3:1 ratio (JBCO:jojoba) and it works miracles. Sometimes with a drop or 2 of Neem Oil if I’m breaking out. Melts makeup right off my face. Never tried it with essential oils, so may give that a try! Thanks for the suggestion.